daily lives will be defined by what’s within walking distance." 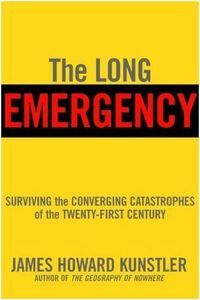 the “Long Emergency.” So how do you find one if you are planning on buying a home this year despite repeated warnings of the real estate bubble? When asked by The Motley Fool if he would buy, sell or hold real estate right now, Burnham said, "Real estate is not a bubble, but it is overpriced. …the reason it has gotten there is that people have been fooled by low interest rates." Burnham’s bottom line advice in the radio interview today: "Don’t buy, I say "hold" as I do in the book." Chapter Nine, entitled "Live in Your Home; Make Your Money at Work" includes a seven page subchapter on the housing bubble. You can view the table of contents, index, and reader reviews on Amazon.com. I haven’t read the book or the section on the housing bubble yet but am eager to do so. 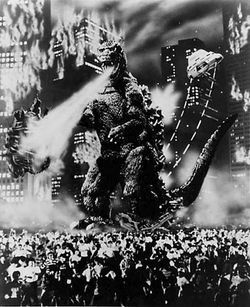 What’s your take — is the irrational exuberance in the housing market being driven by our lizard brains or something else? Price concludes with this warning to traditional real estate agents "who don’t get it:"
At The Real Estate Cafe, there is no such thing as a client who is "all too familiar with" Web 2.0 or the real estate market 😉 In fact, we assume our clients know more than us about the local housing markets some of them have been monitoring for more than a decade using the internet and good old-fashioned word of mouth. That was the case this morning with our latest buyer client. Unfortunately, what some of tech-savvy house hunters don’t realize is that the rules of the current real estate industry sometimes penalize self-reliant, do-it-yourself’ers who wait too long to ask a buyer agency willing to rebate 2/3rds of the buyers agency fee, like Redfin; or rebate 3/4rds of the buyer agency fee, like BuyerSideRealty; or rebate 100% of the buyer agency fee, like The Real Estate Cafe to represent them. Until real estate commissions are uncoupled, and buyer and sellers agents negotiate separate fees independently with their respective clients, web-savvy homebuyers need to be equally savvy about inadvertently forfeiting thousands of dollars in rebates by communicating directly with listing agents, online or off, who are always eager to collect both sides of the obsolete, two-sided real estate commission. That’s part of what is keeping the bloated real estate dinosaurs, Reynolds pokes fun at in his statement above, profitable. As they fall under the weight over their own inefficiency, a new generation of "micro-brokers," with modest or minuscule overhead costs and reasonable consulting fees, will gladly help "An Army of Davids" save an estimated $30 billion dollars annually.